Your attention please! It has come to light that any and all reports regarding the impending demise of the Wilkes-Barre/Scranton Penguins were utterly false and inaccurate, probably the result of a failed attempt by American Hockey League rivals to destabilize the runaway leaders of the Atlantic Division. You are now returned to your regularly scheduled blog programming. The all-time historical record makes it abundantly clear that the visiting Wilkes-Barre/Scranton Penguins absolutely love playing the host Lehigh Valley Phantoms at the luxurious PPL Center in Allentown. Whereas WBS ‘only’ show a record of 4-3-0-1 versus visiting Lehigh Valley on home ice at the Mohegan Sun Arena at Casey Plaza in northeastern Pennsylvania, the Baby Pens boast a lifetime mark of 6-1-0-1 at the PPL Center in Allentown. In other words, the Hamilton Street Heroes have only managed to defeat their powerful intra-state rivals by scoring real goals once after eight mostly futile tries thus far. 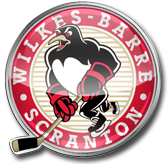 What’s more, Wilkes-Barre/Scranton have won their last four games at the world’s most expensive minor league ice hockey rink on the trot, with three of these four victories having come via shutout. In fact, Lehigh Valley have scored but one goal in these four consecutive losses to the visiting Penguins and have been blanked the last two times that WBS skated in the NIZ. To top things off, the impotent Phantoms have gone more than two and a half full ice hockey games on home ice (150 minutes, 33 seconds to be precise) without scoring even a single goal against the mighty machine better known its initials. After undergoing some technical difficulties following the promotion of Matt Murray (19 ga, 1.74 avg, .942 svpct) to the NHL’s Pittsburgh Penguins and rookie Tristan Jarry (9 ga, 1.50 avg, .940 svpct) being felled by injury, WBS have rebounded from a three-game losing skid by embarking on a new three-game winning streak. Murray was sent back to northeastern PA by Pittsburgh the day after New Year’s and has stopped 62 of 64 shots in his last two AHL starts since. Thus far to begin his career, the sophomore professional has proved himself to be virtually unbeatable in his half a dozen all-time starts (0.97 avg, .965 svpct, three shutouts) versus the Lehigh Valley Phantoms at the PPL Center in Allentown. Murray and Jarry, who practiced on Thursday (Jan 7th) and appears ready for a return to aciton, each have shown the eggs to the Lehigh Valley Phantoms at the PPL Center this season. 23-year-old defenseman Adam Clendening, the fourth-year pro out of Boston University who was the 2nd round pick (# 36 overall) of the Chicago Black Hawks at the 2011 NHL Draft and represented the United States at the 2012 IIHF World Junior Championships, arrived on conditioning assignment from the NHL’s Pittsburgh Penguins on New Year’s Eve and has registered three assists in his first four AHL games. Steve Oleksy (24 go, 0 go, 7 pts, + 13 def), the very well traveled yet highly reliable stay-at-home defenseman who has skated in a combined 62 NHL games for the Washington Capitals the last three seasons, has also returned to the line-up after being out with injury for a spell; Oleksy, the 29-year-old veteran from Lake Superior State who arrived from the Hershey Bears after signing a higher end AHL contract worth $ 250,000 this past summer, was in uniform for the 4-1 triumph over the Binghamton Senators on Tuesday night (Jan 5th). Conor Sheary (24 ga, 6 go, 25 pts, 4 pen, + 8 def), the undersized and undrafted 23-year-old winger from the University of Massachusetts at Amherst, has returned to Wilkes-Barre/Scranton after skating in the first 10 NHL games (one goal, one assist) of his career for the Pittsburgh Penguins; Scott Wilson (25 ga, 15 go, 24 pts, 12 pen, + 8 def), the unheralded yet productive 23-year-old winger from the University of Massachusetts at Lowell who is tied with three other players for second place on the AHL’s goal-scoring chart behind the Phantoms’ Czech import, Petr Straka, was also sent back to the Baby Pens along with Sheary on Thursday (Jan 7th), just in time for Friday night’s tussle with Lehigh Valley. Dominik Simon (33 ga, 12 go, 29 pts, 8 pen, + 12 def), the skillful and exciting 21-year-old import who was the 5th round pick of the Pittsburgh Penguins at the 2015 NHL Draft last summer after totaling a goal and five assists in 10 games for the senior Czech Republic national team at the 2015 IIHF World Championships last spring, leads WBS in scoring at the moment as was also recently named to represent the Baby Pens at the annual AHL All-Star Game this winter. Sahir Gill, the undrafted 23-year-old out of Boston University who had three goals and seven points in a combined 37 AHL games for the Hamilton Bulldogs and WBS Penguins last season, has netted three goals in just seven AHL games this term after being summoned from the Wheeling Nailers of the East Coast Hockey League on December 15th. It was Gill, of course, who scored a goal for WBS in the pre-season exhibition contest versus Lehigh Valley earlier this past fall. Such production from a replacement player coming up from the ECHL does nothing but add to an already fine reputation for organizational depth. Tom Kuhnhackl (23 ga, 7 go, 15 pts, 18 pen, + 10 def), the industrious and defensively savvy 23-year-old right wing from Germany now in his fourth professional campaign, was just recalled by the NHL’s Pittsburgh Penguins for the very first time in his career on Thursday (Jan 7th) and was joined by Bryan Rust, the 23-year-old winger out of Notre Dame who was the 3rd round pick (# 80 overall) of the Pittsburgh Penguins at the 2010 NHL Draft, scored WBS’s last goal of the game in the Penguins 3-0 win over Lehigh Valley at the PPL Center just this past December 16th. Patrick McGrath (5’10 lbs 200 lbs) has two fights in his three AHL games since being promoted from the ECHL’s Wheeling Nailers on New Year’s Day. The 22-year-old native of Wilkes-Barre had exactly three goals and 73 penalty minutes in 24 ECHL games for Wheeling this season and logged 246 penalty minutes in 59 ECHL contests for the Nailers last term, as well. McGrath is the same guy whom Phantoms enforcer Jay Rosehill nearly decapitated in the pre-season exhibition affair with WBS at the PPL Center earlier this past fall, as Kram well remembers.